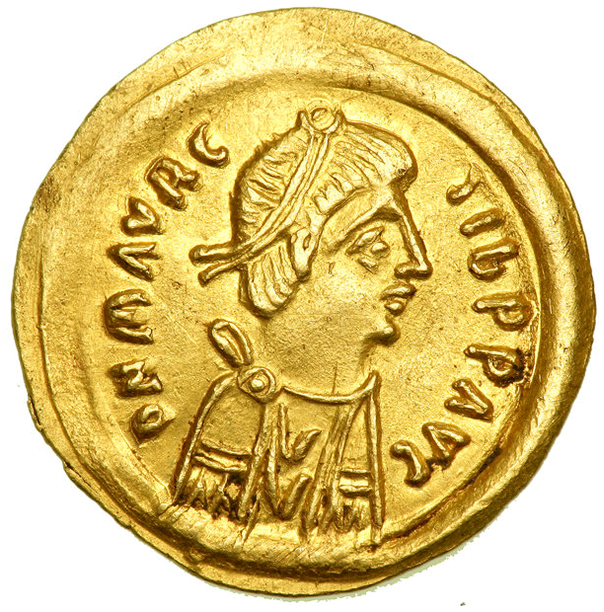 Flavius Mauricius Tiberius Augustus was Byzantine Emperor from 582 to 602. He was the son-in-law of his predecessor, Tiberius II. His reign was troubled by financial difficulties and almost constant warfare; while he ended the war with Sasanian Persia with a victory and the cessation of two centuries of tribute, he fought extensively in the Balkans against the Avars and in Italy against the Lombards. In 602, a dissatisfied general named Phocas usurped the throne, having Maurice and his six sons executed. This event would prove cataclysmic for the Empire, sparking a twenty-six year war with Sassanid Persia which would leave both empires devastated prior to the Muslim conquests.